Increasingly, we are seeing drones used in a wide range of industries, from farming to the delivery of medical supplies. 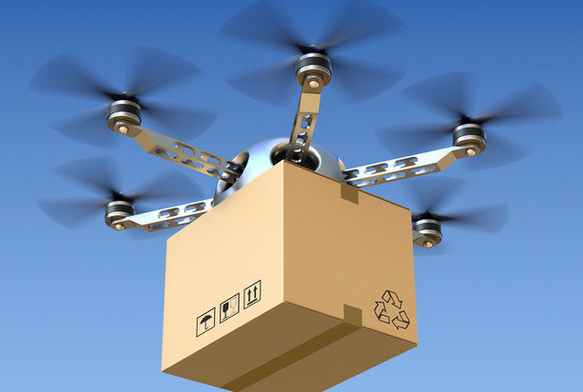 Even retailers are using drones to offer their customers a same-day delivery service. There is also nothing currently stopping a consumer from buying a drone and taking it out flying, providing certain criteria are met. Yet the criteria that the public and businesses must meet are often unclear, which has led to a lack of understanding among business people about the rules surrounding the use of drones. Currently, the Civil Aviation Authority (CAA) is responsible for regulating the use of drones in the UK. There are some clear rules, for example, drones cannot be flown within 150 metres of any busy area, or within 50 metres of any vehicle or structure not controlled by the drone operator. Despite these rules, however, the industry remains highly unregulated and there have been recent well-publicised cases where drones have been flown too close to aeroplanes or over sports grounds. If it flies like a plane and looks like a plane, should it be regulated as such? This is the current question troubling the public and facing the CAA, responsible for regulating civil aviation in the UK. Drones are growing in size with every technological advance, able to carry cameras, goods and missiles used in warfare. However, the current regulation surrounding drones in the UK is extremely slim and rather at odds with the heavy regulations surrounding aviation industry. Legal action may be taken by the CAA if the owner of a drone breaks the rules and it is easy to picture scenarios where the CAA’s rules may be broken. Flying a drone above 400 feet could be in breach, as could flying a drone in a park. In 2014 a man pleaded guilty and received a £800 fine for flying a drone near a submarine facility, but this was a very public infringement. Few individuals have been prosecuted by the CAA, despite many instances of drone misuse making the headlines. It seems much more likely that, with the rise in popularity of drones, that the CAA’s attention will be focused on commercial drone operators who break the rules. On Wednesday 13 August 2014 Google tested its first delivery flight in Australia. Cherry Ripe chocolate bars were delivered to a farmer on a remote farm. The vehicle arrived, hovered overhead and gently lowered the package to the ground. Over the week, 30 successful flights were completed with deliveries including vaccines and first aid kits. When a 7.8 magnitude earthquake struck Nepal in 2015, drones were part of the relief strategy. However, the use of drones was completely unregulated and this contributed to widespread confusion as to how the technology could or should be used. Drones quickly became an added burden for an overstretched government, who were already being heavily criticised for their slow reaction to the crisis. Drones promise many benefits for healthcare delivery. Medicines, vaccines and resources can get to remote areas swiftly and inexpensively. This could be a defibrillator arriving where needed in minutes or a camera enabling assistance to be offered from afar. In times of crisis, local or foreign aid workers often put their own safety at risk by entering dangerous zones, drones offer the potential to assist. The use of drones in the healthcare industry seems to be growing, and we will watch with interest to see the developments. What has been learnt so far is that without proper regulation, this initiative cannot work. The fact that many drones have built-in cameras raises data protection and human dignity concerns as well as copyright issues. Where a drone is used to take photographs, the operator of the drone (or their employer if they are using the drone in the course of their employment) will be the first owner of any copyright in the photos as original works. There is a risk that when drones are used to take photographs or videos that in doing so they will infringe copyright in other works that are captured in those images. In the UK, however, there are a number of useful exceptions to copyright infringement for drone operators. It is not an infringement of copyright to take a photograph or video of a building or certain types of artwork, such as sculptures, that are permanently situated in a public place. However, if, for example, a sculpture is situated in the gardens of a private property, it may be an infringement of copyright to use a drone to take a photograph or video of it. In addition, copyright is not infringed by its incidental inclusion in a photograph or video. As a result, if a photograph or video taken by a drone captures, for example, an advertising hoarding in the image it is unlikely to infringe copyright in the advert, provided the advert is not the focus of the photograph or video. If a drone is used to make a video of a pop concert without the correct permissions, then in doing so the operator could infringe copyright in the music and lyrics, as well as infringe the performers’ rights. When drones are used by individuals for their private purposes there is a risk that images of citizens are collected without their consent. In the US especially, licences have been granted to a number of organisations who are seeking to use drones for less frontline commercial enterprises such as using aerial photography for real estate agents or pipeline monitoring by energy companies. This has led to IT companies increasingly getting involved in drone technology, whether that means building the drones, or increasingly just providing supporting technology, including data analysis or network connectivity. However, what must be recognised is that drones must be used with appropriate practices when in a commercial setting so as not to infringe the data protection rights of individuals and render the commercial operator of drones non-compliant with the Data Protection Act 1998 and the General Data Protection Regulation (as from 25 May 2018). The use of drones is identified in the latest CCTV Code of Practice published by the Information Commissioner’s Office (ICO), which describes drones as unmanned aerial systems (UAS). The ICO distinguishes between “hobbyists” – individuals who use drones for their own private purposes – and organisations that use drones for professional or commercial purposes. The use of UAS have a high potential for collateral intrusion by recording images of individuals unnecessarily and therefore can be highly privacy intrusive. Individuals may not always be directly identifiable from the footage captured by UAS but can still be identified through the context they are captured in but by using the devices ability to zoom in on a specific person. As such, it is very important that you can provide a strong justification for their use. As with all … technologies … performing a robust privacy impact assessment will help you decide if using UAS is the most appropriate method to address the lead that you have identified. The CCTV Code of Practice goes on to remind commercial users of drones that they need to comply with all aspects of the Data Protection Act 1998 particularly as regards notifying individuals that their images may be captured and giving individuals information relating to their rights as a data subject. It should also be in mind that recordings from drones need to be stored in a secure manner in order to comply with the seventh principle of the Data Protection Act 1998, and businesses that store drone camera footage need to apply the same rigorous information security controls as they would do in respect of general CCTV footage. Paparazzi following a celebrity, athlete or public official is now a well-recognised concept in our culture – be that a good or a bad thing. A number of famous instances have unfortunately revealed the dark side of what happens when an individual’s right to privacy is violated. Drones, and particularly drones with cameras, have the ability to entirely change the game. Flying a drone over an area where individuals have a reasonable expectation of privacy, such as in their back garden or a private beach, could constitute the crime or tort of harassment (if done frequently) but more likely the problem would arise if an attempt was made to take and publish images obtained, whether online, in a major publication or even shared amongst acquaintances and friends. The people being photographed would regard themselves as victims because under Article 8 of the Human Rights Act 1998, and the legal cases that flow from that jurisprudence, they have a right to damages for this intrusion into their private space. The amount of damages would depend upon the extent of the publication but could be substantial. This would cover photographs of quite ordinary activities such as riding a horse in a quiet national park or soaking up the sun on a private beach. If more intimate information was being captured by the camera on the drone there could be an issue with the criminal law as a result of the worry of voyeurism which would mean that the 2003 Sexual Offences Act may come into play. A drone hovering outside someone’s bedroom or bathroom (or even car or garden, if sexual activity is taking place in an area unobservable by the public) could result in a fine or even imprisonment for the drone’s pilot. Repeatedly flying the drone – even if without the camera – could be a breach of the Protection of Harassment Act 1997 which protects people from a course of conduct which amounts to harassment of another (the victim has to feel harassed). The test is kept deliberately wide but if someone is doing something which “he knows or ought to know amounts to harassment of the other”, the person can find themselves in front of a court in breach of the criminal law or, if appropriate, a civil action could be brought to obtain an injunction to stop the continuation of the behaviour (backed up by imprisonment for contempt of court if it was still going on) plus, potentially, damages (although they would likely be modest). One in three business decision makers (34 per cent) say drone technology is either already in use in their industry, or will be in the future, according to research carried out by YouGov on behalf of Charles Russell Speechlys. Worryingly, despite their growing prevalence, over half (55 per cent) of those that predict drones will dominate their industry say they lack knowledge about the rules and regulations. The rise of drones could therefore leave many businesses exposed. Drones provide another example of the pace of technological development outstripping the creation of legal structures and regulations. It is not only law and regulation which will structure drone use but also technology itself. There are already technologies developed that restrict the use of drones in certain locations, particularly near airports, and there are already emerging technologies to disenable drones – let’s call it “drone blockers”. And we can certainly anticipate further developments of technologies to control the inappropriate use of drones. This, however, could create more problems to counter. It is one thing for the owner of a drone to be liable if the drone malfunctions and comes to the ground causing injury but it may be a completely different issue if individuals use drone blockers to take down or take control of someone else’s drone. Although a complex minefield for regulators and legislators, as drone use grows across sectors, it’s critical that businesses know how to use drones responsibly.